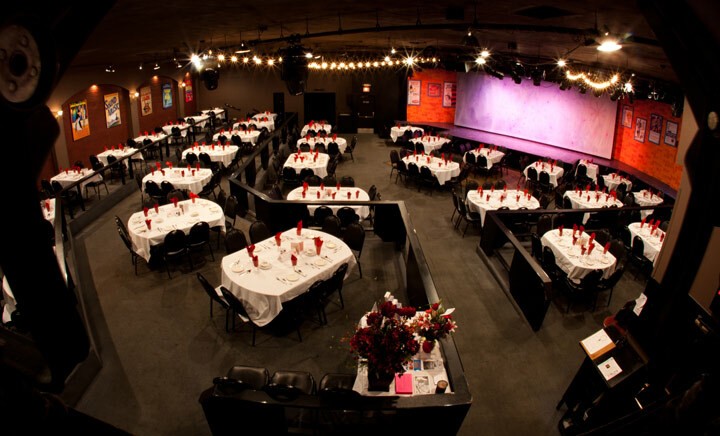 We have an excellent place for your special events! 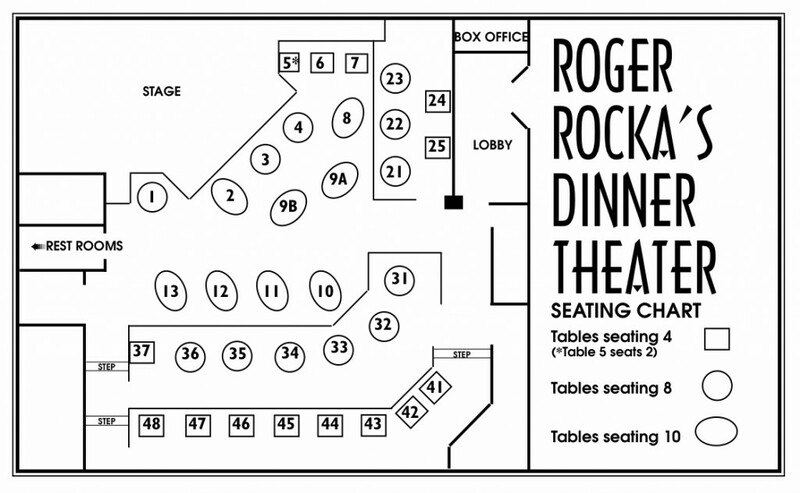 Roger Rocka’s Dinner Theater is available on most Monday, Tuesday & Wednesday evenings and most weekdays and Saturdays until 4pm. In addition to an attractive and comfortable room with an elevated stage, a piano is always on hand and it’s easy to arrange almost any kind of presentation. Since we’re set up to offer theatrical productions, the view from anywhere in the house is excellent. Our theater seating can accommodate as few as 80 or as many as 250. We also have projection facilities that can accommodate your power point, video or slide show presentations. We can host a variety of types of functions including served meals and buffets. These meals can be as simple as a lovely chilled luncheon salad or as lavish and elegant as a formal dinner. We also have a full bar available. The management and our friendly staff take pride in making your event pleasant and memorable. Ample free parking is always available, and security at night meetings is part of the package. For more information about having your special event at Roger Rocka’s call Dave at (559) 266.9493.